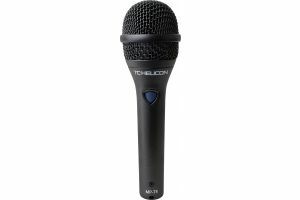 - Easy setup with automatic mic input gain. 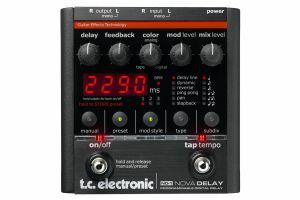 Just plug in and loop. 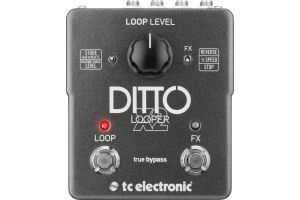 The original Ditto Looper, from the sister company TC Electronic, was an overnight sensation because it delivered exactly what musicians were looking for: pure looping without feature fluff. 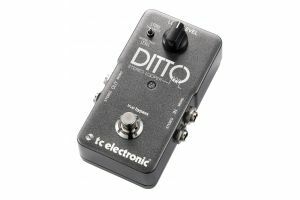 Ditto Mic Looper continues this tradition and further shortens the distance between creative spark and performance by adding automatic mic gain – making setup painless, accidental on-stage bumps a thing of the past and your performance distortion-free. Also, loops are stored, meaning that the last fantastic loop you worked on remains in Ditto Mic looper all ready-to-go, even after you power it down. 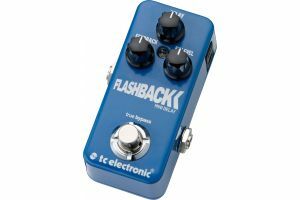 - Press STOP to pause all loops, press again to resume play – or hold it for a quick, noiseless erase. 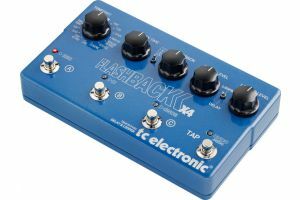 Wouldn’t a single-switch pedal be the simpler approach – save space and just have one button for everything? Actually, no. The dedicated STOP switch on Ditto Mic Looper means that you can pause your loop exactly when and where you want it, without fudging your timing by having to double-tap to stop. 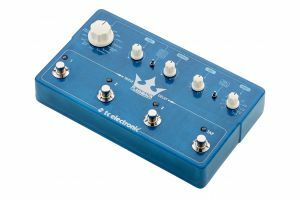 Also, holding down STOP to erase won’t cause any unwanted playback – as on most single-switch pedals. 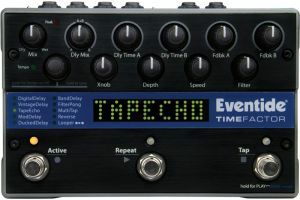 While some one-button loopers claim to offer noise-free erase, they do it by slowing the reaction time of the LOOP switch so it only plays when you release the switch, which can seriously mess with your groove! 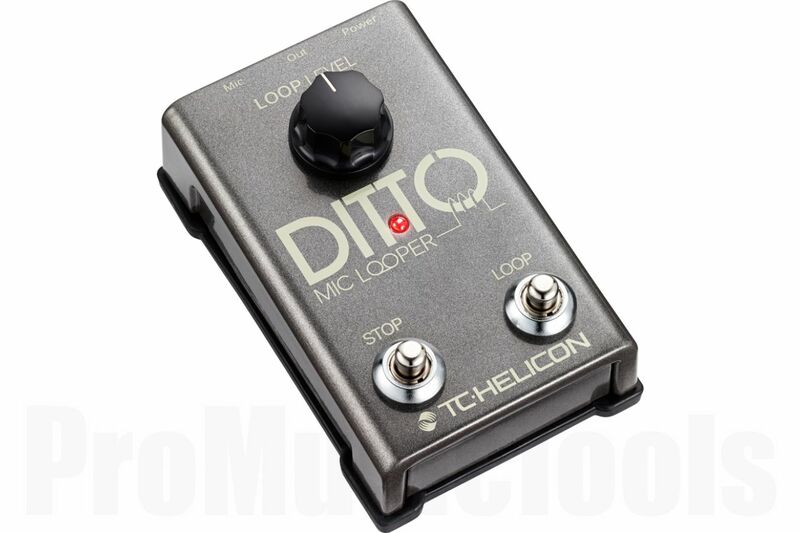 Finally, on Ditto Mic Looper you get to decide the order of the LOOP switch actions – Record/Play/Overdub or Record/Overdub/Play – to suit your personal style. With Ditto Mic Looper, you’ll always have the strength in numbers. You can create anything, be everything at once. Construct an entire choir with your voice, turn violin into symphony, or create the biggest brass band on Earth with your trumpet. When inspiration strikes you only have to do what comes naturally, Ditto Mic Looper makes sure of that.